The Russian Embassy in the United States said that it will continue to call on the US side to provide proper conditions of imprisonment to Russian citizens. WASHINGTON (Sputnik) — The Russian Embassy in the United States on Wednesday called on international human rights watchdogs to monitor the situation with the “endemic” mistreatment of Russian nationals held in US jails and facing problems with receiving proper medical assistance. “We urge the international human rights organizations to join monitoring this problem, which has become endemic in regards to Russian nationals in US jails,” the embassy said in a statement. The diplomatic mission noted that it will continue to call on the US side to provide proper conditions of imprisonment to Russian citizens, especially in terms of their health and safety. 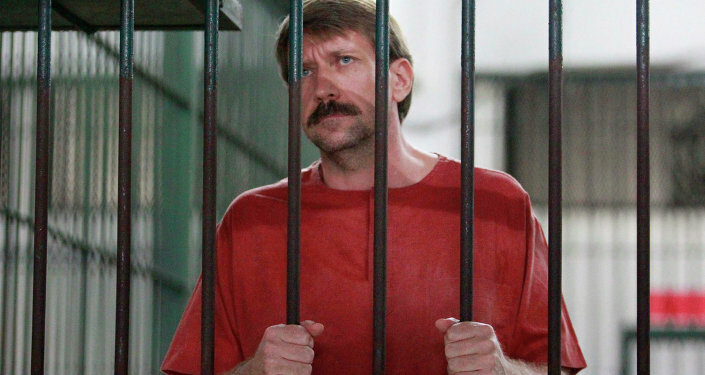 The embassy’s remarks come amid the situation with Russian national Viktor Bout, who was denied timely medical treatment when he was ill with severe flu and received necessary treatment only after the calls of the Russian diplomats. The embassy noted that health condition of Bout has improved. "As soon as the information about V.A. Bout's illness (who is unlawfully sentenced to 25 years of imprisonment) appeared, the diplomats immediately contacted the Marion prison's administration and demanded to provide him with the necessary healthcare… Unfortunately, he was not immediately rendered with the necessary assistance… Thanks to our efforts, his health condition has normalized," the statement read. On Tuesday, Bout's wife Alla told Sputnik that he had caught a severe flu and had been told that a medical examination would take place only two weeks later.